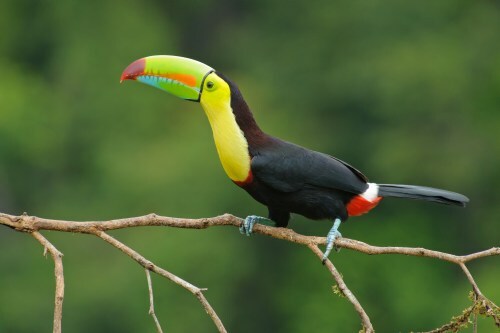 WestJet has dropped the price of a few of their late spring flights from Toronto to Liberia, Costa Rica down to $326 CAD roundtrip including taxes. There are only a few dates available, so these probably won't last long. Update @ 10:30 PM EST - June 2-9 is now sold out. May 26 to June 9 has increased in price to $399 CAD roundtrip. toronto, yyz, westjet, flight deals, liberia, lir, central america, costa and rica. 2 Responses to "Toronto to Liberia, Costa Rica - $326 CAD roundtrip including taxes | non-stop flights"
I just booked a flight from June 9-16. Flights came up at $410. I checked it on Expedia and the flight was still the same price, there were also some hotel options that you could join together. Ended up getting a week at a decent hotel with breakfast and a round trip flight for $1001. Not bad!